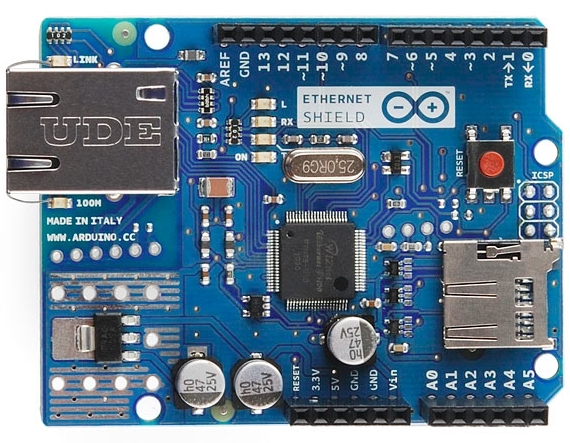 Recently I started on getting the Arduino Ethernet shield working with 8OD. Aside from the pull up resistor problem which was found and fixed fairly easily, another much more ominous issue cropped up while I was making a little web demo app. Crap. 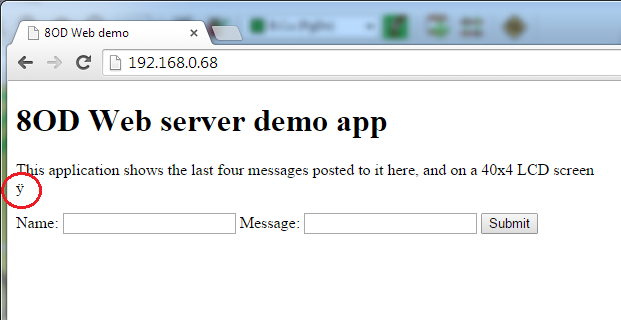 After a few hundred web requests – it appears. Straight away I can see that the source of this text, which is in a “const” section in RAM is being modified. There’s nothing in the code that I can see which would be modifying this area. This is not good. Either it’s memory corruption caused by code bug, or a hardware fault. I have been able to rule out fault with a specific unit, because it reproduces easily on a second board. Beyond that, I’m stumped. It’s now time to break out with the logic analyser, and put a breakpoint on that memory location, and hopefully see what’s changing it. Before I can even do that, I’ve got to prepare an 8OD.1 unit for logic analysis, which is a bit of a job. 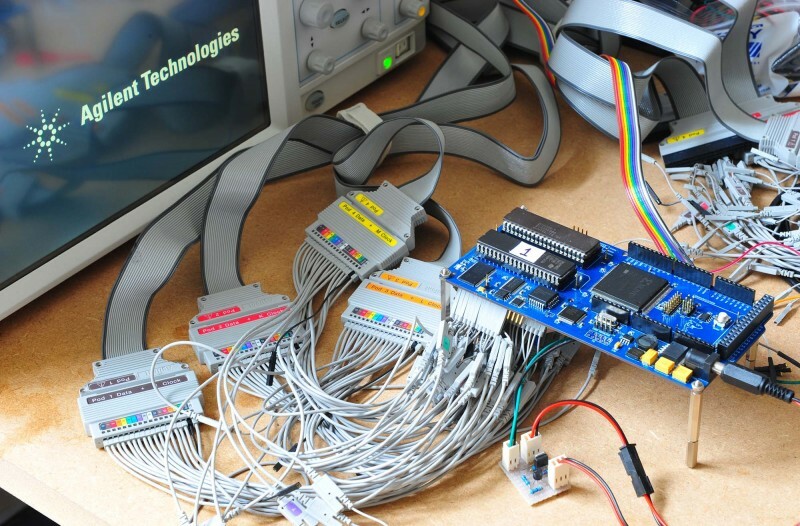 Many of the connections needed for logic analysis are on the EPROM socket, but there’s still quite a lot that aren’t. The rest are exposed as test pads which I then have to solder wires and headers to. 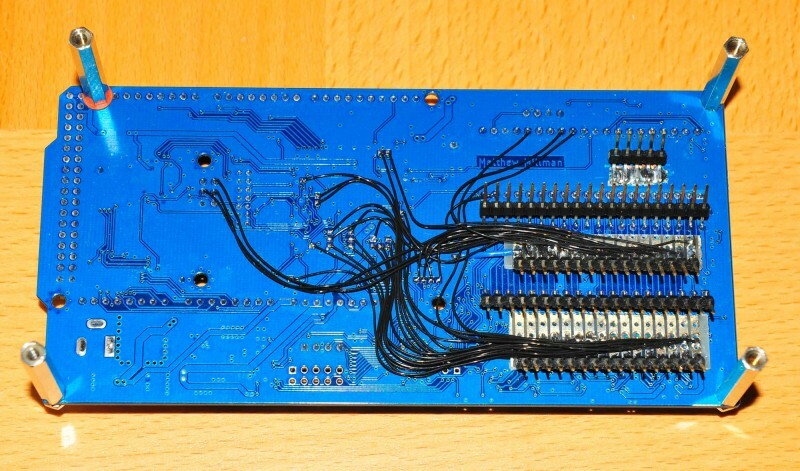 This is a little bit of a pain but with the PCB only being 2 layer, adding footprints for test connectors (I.e. Mictor test probes) is out of the question. With 4 pods on a 16752A in use, this is about the minimum I can get away with to do a meaningful analysis on 8OD. 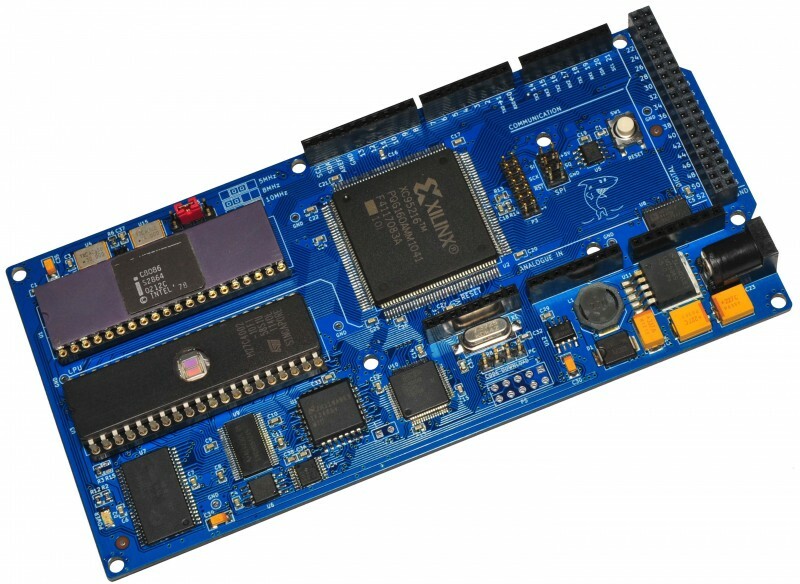 The ethernet shield was always on my list of things run with 8OD, but sat in the “too hard” basket, mostly because I was afraid of a difficult software task, which in the end would turn out to be rather simple.